This website is a community facility established and maintained by the Embleton and District Parish Council. Its primary purpose is to provide information resources and a communication medium for residents of the parish. Additionally and because tourism is an important element in the local economy, the website is also intended as a means of providing useful information for those who visit our area. We hope also that it makes a contribution to the wider promotion of our community and of our spectacularly beautiful and recreationally blessed parish and surrounding area. Embleton lies in the north-western part of the famous and spectacularly beautiful Lake District National Park. The civil parish of Embleton and District lies beneath the 3054 ft. western face of Skidaw, the fourth highest mountain in England. It abuts the shores of Bassenthwaite Lake which, for pub-quiz and trivia fans, is the only lake in The Lake District – (all the other major bodies of water are waters, meres or tarns). Also, in case it comes-up, (pun) Tennyson used Bassenthwaite Lake as his model and inpiration for the lake into which the sword Excalibur was thrown in his Mort d’ Arthur. Bassenthwaite Lake was created at the end of the Ice-Age when errosion silt and glacial debris accumulated in the plain at the northern end of what is now Derwentwater and effectively split what had been one large lake into the quite different two that we now enjoy. 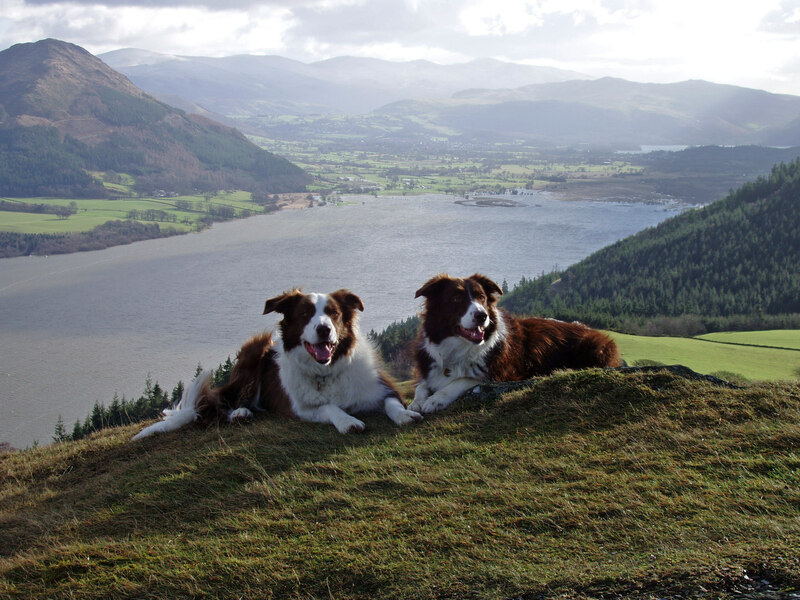 Our well dispersed and small community is situated in an area of outstanding mountain, fell and lakeland scenery that is, itself, surrounded on all sides by a feast of the nation’s best and most varied unspoiled natural landscape and seashore. The area is a paradise for explorers and walkers of all ages and abilities, offering everything from gentle lakeside strolls and seashore exploring, to true high-level mountaineering, and all the options in between. In the district and close by, there are amenities for the broadest range of traditional and modern outdoor activities. The fellsides of the Embleton Valley overlook the A66 trunk road which runs along the valley-floor and provides access to the magnificent Western Lakeland seashores and to the beautiful Solway Coast . The valley itself runs west /east between Sale Fell and Ling Fell in the South and Setmurthy and Seathwaite Howe in the north. The parish is bounded in the east by the western shore of Bassenthwaite Lake and in the west by the National Park boundary at the easterly approaches to the charming and delightfully down-to-earth market-town of Cockermouth. In contrast to the Embleton Valley locations of Embleton, Wythop, and Dubwath communities, the hamlet of Setmurthy in the north of the parish lies in the shelter and tranquility of the valley of the river Derwent immediately downstream of Ouse Bridge, which is where the Derwent leaves Bassenthwaite Lake. The nearest market town serving the parish is Cockermouth. 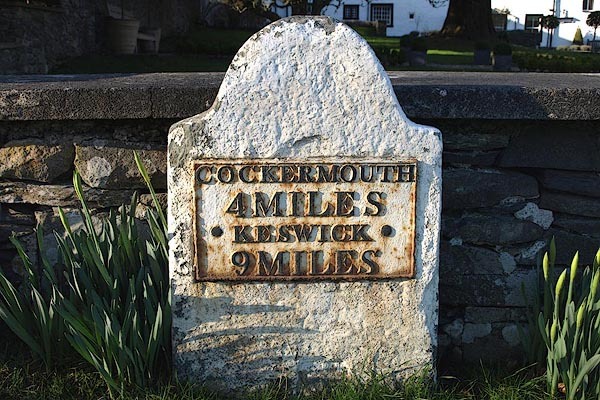 Cockermouth is Cumbria’s oldest town and the birthplace of William Wordsworth, Fletcher Christian, John Walker MD 1759 (vaccination) and other historical heroes and villains. The resident population of the civil parish of Embleton and District is around three hundred. Agriculture and tourism are the main employment sectors locally but parish residents are occupied in a wide variety of businesses, trades, jobs and professions. The main communities of the civil parish of Embleton and District are; Embleton itself, Wythop Mill, Setmurthy and Dubwath. There are also several smaller hamlets and dwelling clusters in the parish. We are well spread, as is typical of many Lake District rural communities.